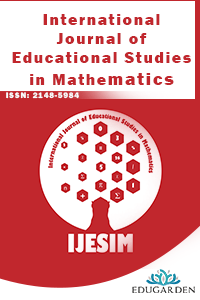 IJESIM is an international, peer-reviewed, non-profit, professional scientific journal that accepts manuscripts related to the field of mathematics education. The journal is published online quarterly. The articles submitted should be either in English or Turkish. The authors should follow publication ethics strictly. Welcoming articles from different institutions and countries, IJESIM is a publication of EDUGARDEN supported by Educational Researches and Publications Associations (ERPA).